Colonial Bay Cottage Resort offers Muskoka cottage rentals on Peninsula Lake, close to Algonquin Park, Huntsville and Lake of Bays. Perfect for a family cottage vacation or short getaway. 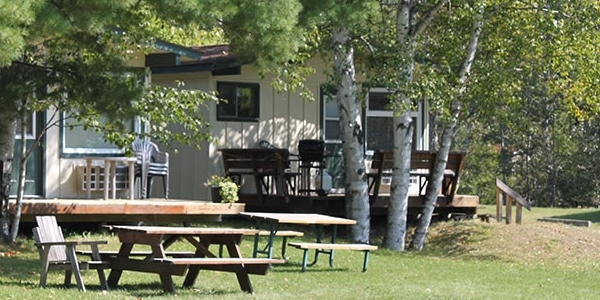 Only 2.5 hours from Toronto, our Muskoka cottage resort has a variety of on site activities to compliment our traditional and deluxe self contained cottages and motel style rooms. From our cottages you will enjoy a view of Peninsula Lake. At the resort, there are many outdoor activities to be enjoyed: great sand bottom swim area, big lakeside sand pile for kids, canoes and kayaks, children's play area, water trampoline, boating and fishing.